Reservations are accepted but not necessary. All parties larger than 10 must be submitted by phone call to the restaurant. All parties are welcome to call in and be placed on the waiting list during the peak business hours. Please call for availability and menu options. Chuck's is a SMOKE FREE restaurant. 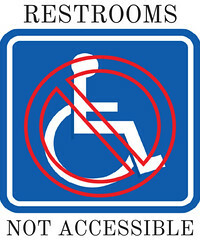 However, our restrooms are not wheelchair accessible. We encourage you to join our mailing list for exclusive members-only specials and promotions. Plus receive a free appetizer with the purchase of a steak entree.